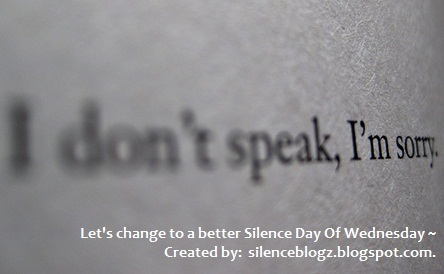 "Silence makes no demands, will infer contentment and profundity." I can zip my lip but cannot stop my fingers.. Im sorry. Cannot tahan to say hello to my mummy.. 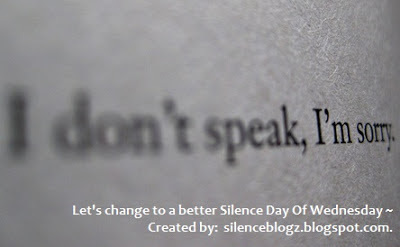 I luv silence day, i luv silence blogz, i luv..... Ehh?